Join us as we welcome our friends from Fox Products! 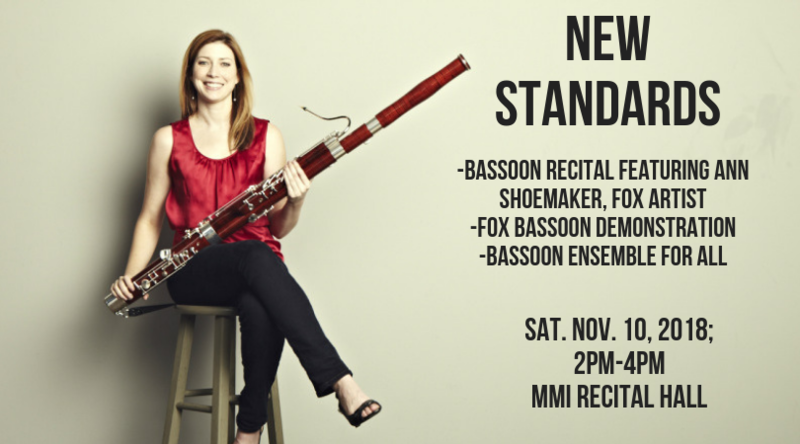 Ann Shoemaker, Fox artist and professor at Baylor University will present a bassoon recital followed by an all ages bassoon ensemble where everyone is encouraged to play! Tony Starkey, Fox Products owner, and Sarah Rude, Fox Products design engineer will be present with a variety of Fox bassoons for testing. All ages welcome! Free! We look forward to seeing you there!